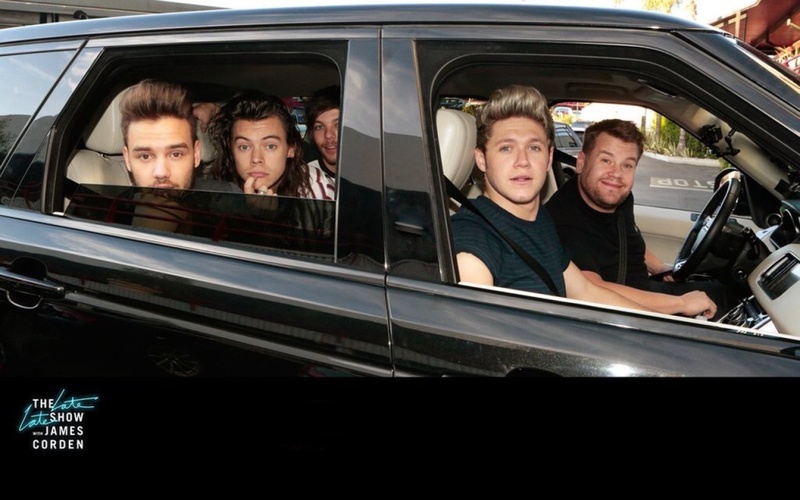 The Late Late दिखाना. . HD Wallpaper and background images in the वन डायरेक्शन club tagged: photo the late late show james corden harry styles niall horan one direction 1d louis tomlinson liam payne. This वन डायरेक्शन wallpaper might contain ऑटोमोबाइल, कार, ऑटो, एसयूवी, and ट्रक.